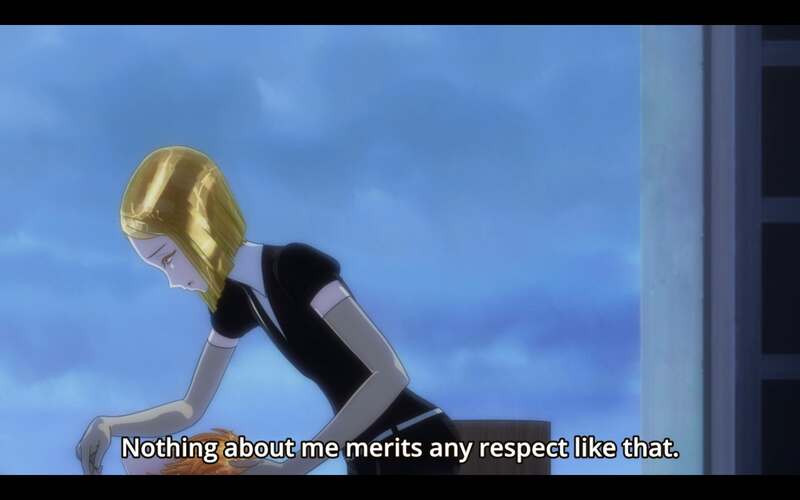 Dakshina; Land of the Lustrous, Episodes 6-7 | Isn't It Electrifying? The Mahabharata consists of many tales, woven through an epic battle of evil and good. At the heart of it lies a story about the five Pandava brothers, in an attempt to reclaim their kingdom, their loved ones, and restore their honor against the evil Kaurava brothers. I grew up reading simplified versions of the Mahabharata, but one story that has stuck with me to this day is not one focused on the Pandavas, but rather, a boy talented in archery, named Ekalavya. Determined to win the praise of a Gurukul (master) that would not teach him because he was not of high or royal blood, Ekalavya practiced on his own in the woods every day. Through months of hard work, Ekalavya transformed from a simple boy to a handsome and courageous warrior who was so skilled in archery that he even surpassed the Gurukul’s greatest apprentice, one of the Pandava brothers named Arjuna. One day during practice, Ekalavya spotted a dog barking incessantly. Annoyed that it was disturbing his peace, Ekalavya managed to shoot arrows into its mouth without hurting it to the point where it could not bark anymore. Through his skill however, the dog was completely unharmed. By chance, the Gurukul, named Drona, and one of the Pandava brothers, stumbled upon the dog. Amazed by such skill, they requested Ekalavya’s presence. Remembering Ekalavya as the boy whom requested his teachings, and also angered by the fact that such a low class boy could become so proficient at archery, Drona turned to Ekalavya in silent anger, and asked. “I would be more than happy to,” Ekalavya replied naively. Ekalavya would go on to receive blessings from both Drona and the gods for his bravery, and would also go on to continue practicing archery despite his handicap. He’s considered an example of true discipline and loyalty in the Mahabharata, but to me personally, he is a tragic reminder of the things we do for praise and merit. 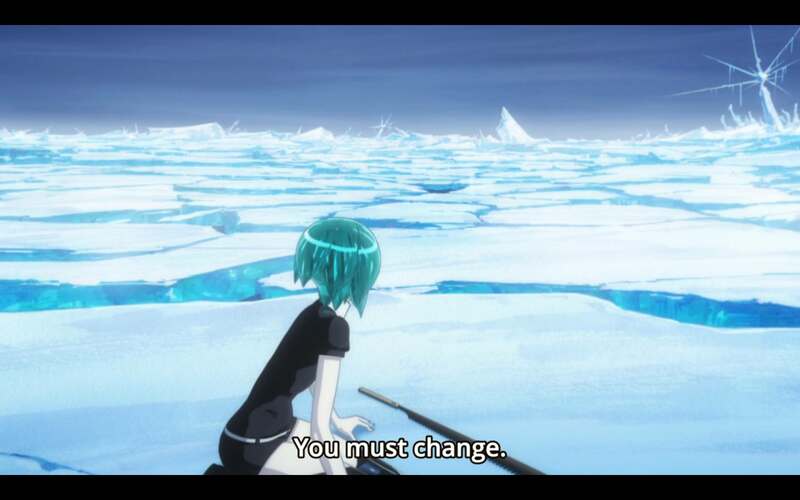 It’s a similar trait I see recurring throughout Land of the Lustrous in the form of Phos, whom, now blessed with agate legs, pushes themselves to the brink yet again for the things they love. In exploring our own emptiness, we wish to fill it up with something we can understand; something warm, something cherished, something loved. We all want something we can’t have; it’s the loneliest desire we have as human beings. To Phos, a Gem who has no place in their current society and is constantly lonely, the only thing they truly want is acceptance, and not just from anyone – from the outcast Cinnabar, and Phos’ only Gurukul, Kongo. And it’s not just Phos. 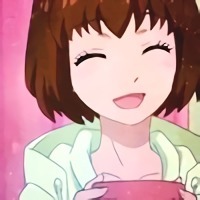 At this point, nearly all the Gems have really forgotten a reason to live and fill up that emptiness with the presence of their Master. They breath for him, and perform their duties for him. They maintain themselves for him, and would even willingly die for him. It’s a twisted love Kongo shares back for the Gems; they only have each other to keep the other sane. And so, he carves them in his own image, dresses them up in funeral clothing, and preserves them as dolls. There’s no sexual desire here, but it’s a longing resembling one. 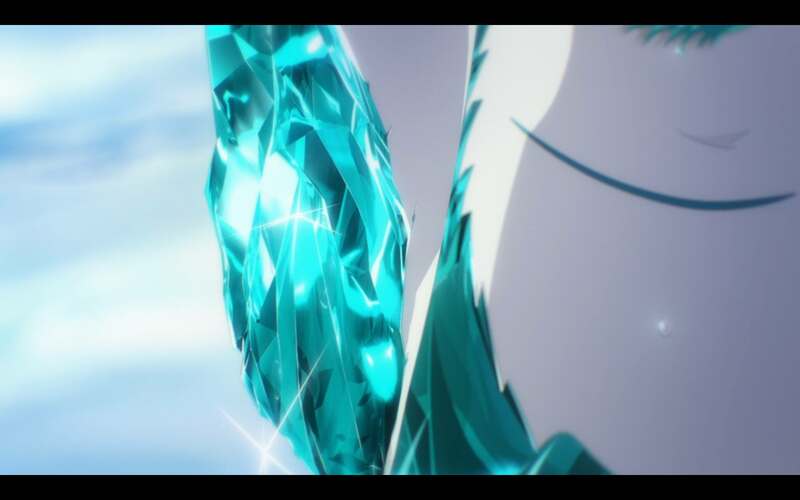 I can imagine that unlike Kongo, the Gems have no body heat. They search for an embrace or a head pat, as it’s the only form of love they’ll ever know. And for most of them, that’s enough. Their dakshina is their duty to Kongo, but it’s because of that dakshina that they won’t ever be able to move outside the cage they’ve made for themselves – the cage Kongo is knowingly keeping them in. In the end, the Gems and Kongo are living a frail dollhouse life, void of understanding or seeking truth. It’s terribly sad. Perhaps that’s why our main protagonist has to be Phos. As the youngest Gem, Phos has yet to truly grow old. 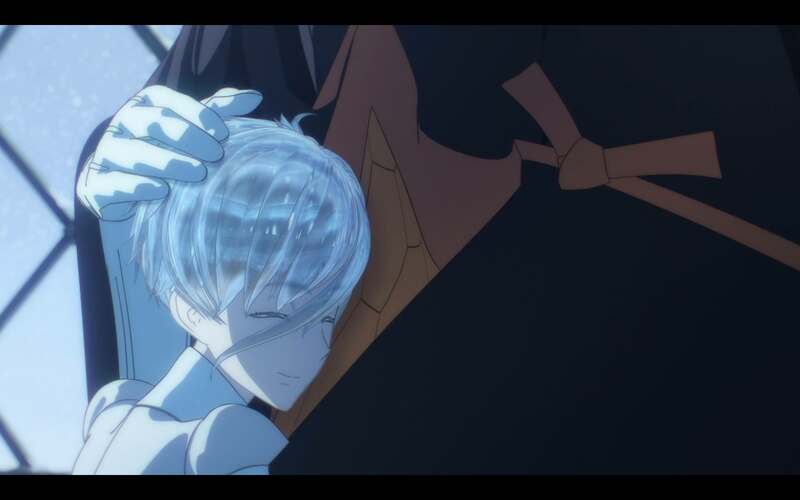 Unlike Yellow Diamond, who can’t even remember the reason they are fighting anymore, Phos imprints easily. 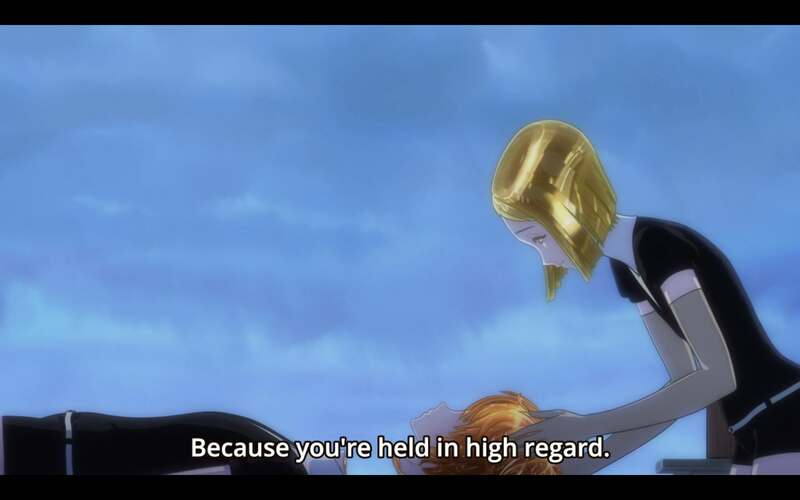 They perceive Cinnabar’s loneliness as their mission, see Diamond’s resolve as their standard, and most of all, Kongo’s unconditional acceptance as love. But it’s just not enough. Duty dictates that head pats and hugs mean nothing without earning it. 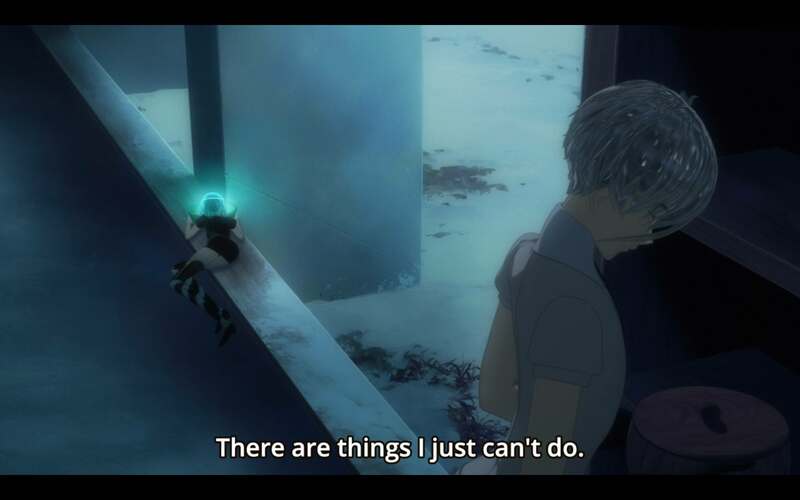 And unlike most, whom would rather stick to the rules they know, Phos tries to unconventionally earn it, again, and again, through falling and breaking and searching for something new. But you can’t just steal new mannerisms and habits to remake yourself. 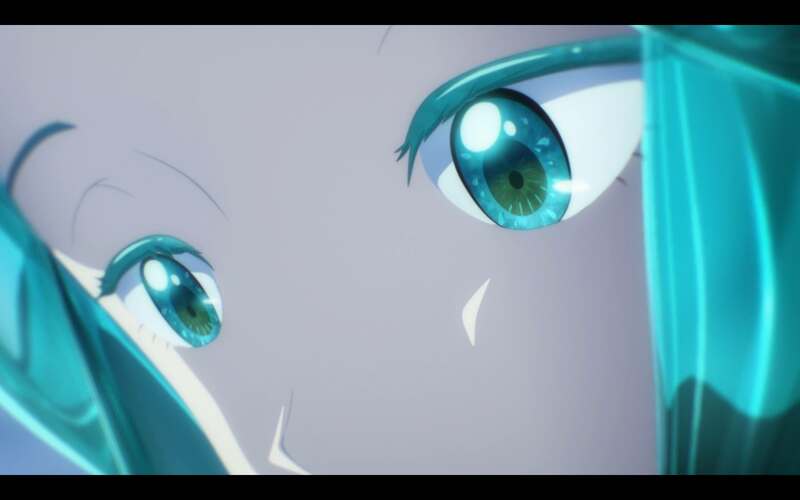 Even equipped with new legs, Phos can’t truly change yet, not really – and it’s this unfortunate realization that comes from the dangerous battle they witness between Amethyst and the Lunarians. 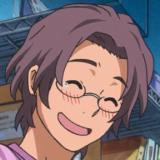 Episode 6 is not just important because of this, but because of something far more tragic. 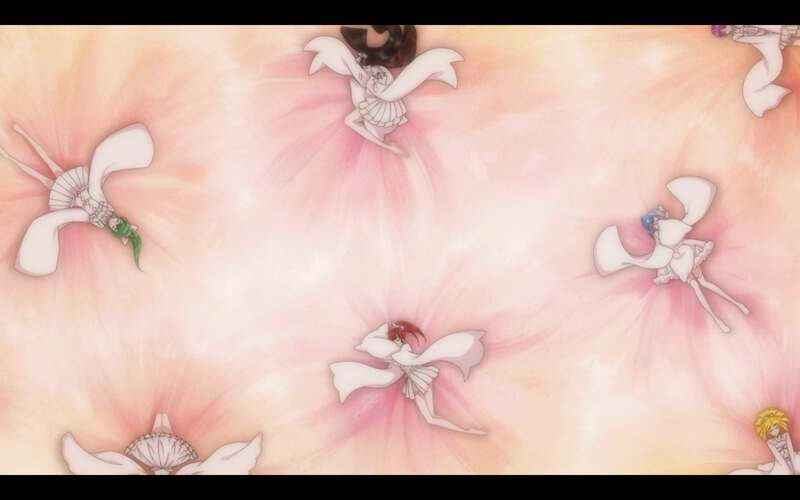 No matter what Phos does to remold themselves in an image that Kongo and the Gems would desire, they still wouldn’t be accepted as anything else but what they truly are. Change must come from within. 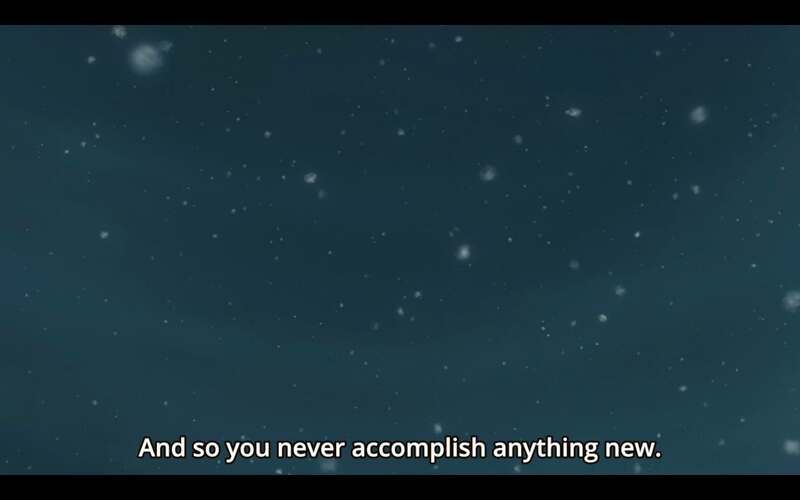 And so, Phos, whom easily imprints, takes Antarcitite’s words to heart: In order to truly become better, you have to be willing to try new things. You must be willing to pay your own kind of dakshina. Instead of using this opportunity for self meditation, Phos stumbles into their dangerous habit of attributing weakness with a lack of physical attributes. If you are rejected, you must practice harder. If your guru cannot bestow blessings, you must make yourself worthy of those blessings. You must prove yourself to truly earn gratitude. And if your time is limited in trying to prove yourself, you must make shortcuts. 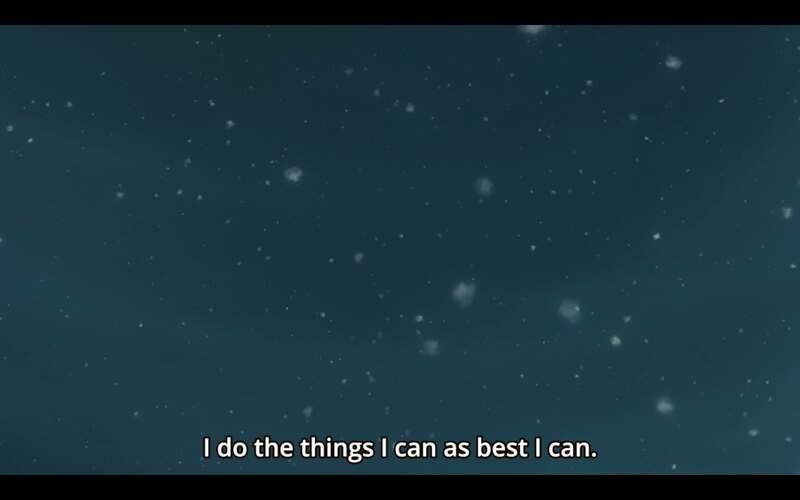 In a different kind of courage, Phos makes the greatest shortcut of all. Last time, I asked how far one would go to give up their nature for agency. Do we really have a choice or is it just our own anxieties pushing our misguided beliefs on us? 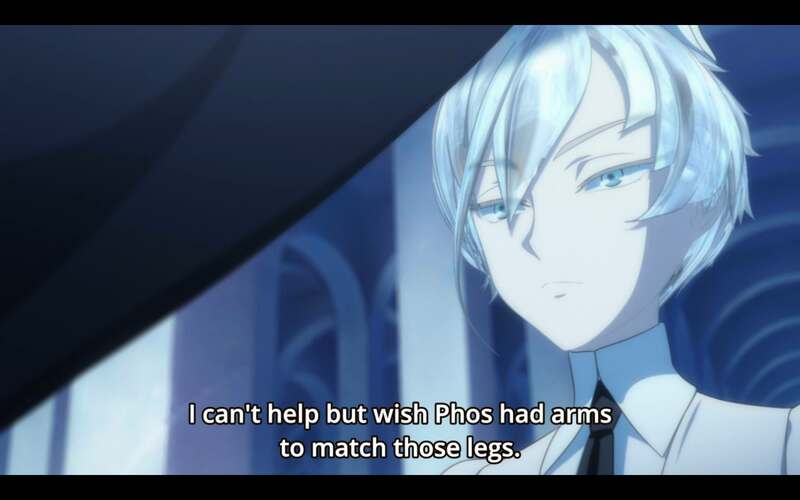 What makes Phos’ desire of cutting off their arms so terrifying isn’t the fact that they’re willing to do it. It’s the fact that they delude themselves into thinking that it would willingly be a good idea for everyone else. To Phos, cutting off one’s arms would just be another dakshina. They would willingly give up their thumb, their arms, their entire existence – all for the sake of remaining in Kongo’s mind and heart. As I mentioned last time, this kind of duty is considered heroic, especially when it’s out to save someone. But what Phos doesn’t realize is that their reason is far more insidious. It’s desperate selfishness. Phos doesn’t want to give up their arms to just be accepted. It’s an unconscious desire to beautify oneself and reclaim some kind of control in their life. In trying to claim agency, they lose themselves. Their dakshina is not a fee of gratitude, but a fee of self resentment and loneliness. 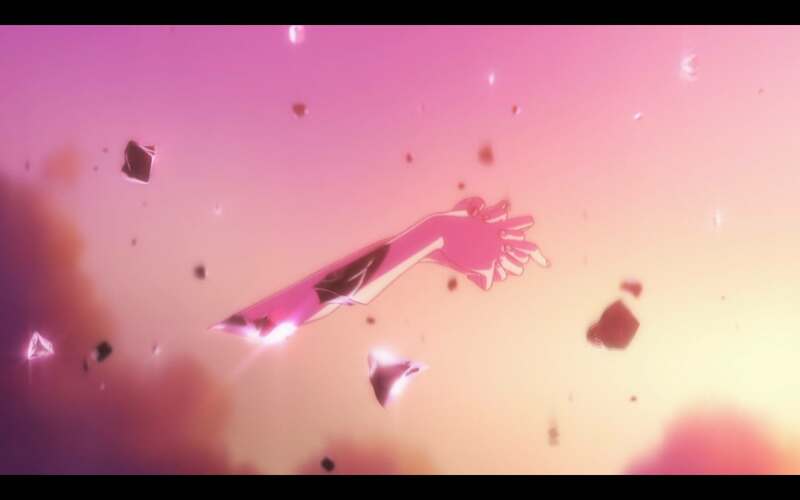 And in reaping what you sow, Phos doesn’t just lose a pair of arms; they lose another part of themselves. They increase their own burden. At a certain point, there has to be a line that one can cross and never return from. I’m not sure if Phos’ has crossed that line yet, but they seem to be dangerously close. But first, they have to understand that the strength of love doesn’t stem from consistent self sacrifice. For starters, they know very little about their Guru – is he even human? What is his story? Do we even know what the Lunarians are? What their relationship with the Admirabilis is? What humans have to do with all of this? Is it really worth risking one’s life for preserving this fragile lifestyle, instead of pursuing answers? 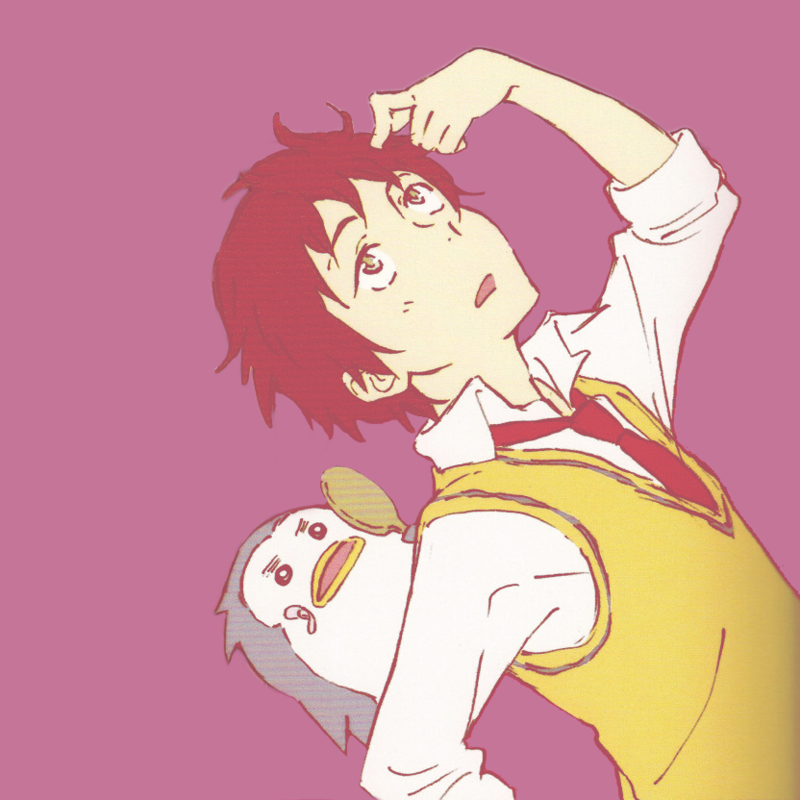 I feel that eventually, Phos will have to make this difficult choice. They will understand the price of self sacrifice. They might discover how to become beautiful, cherished, even loved. But what will have been sacrificed? 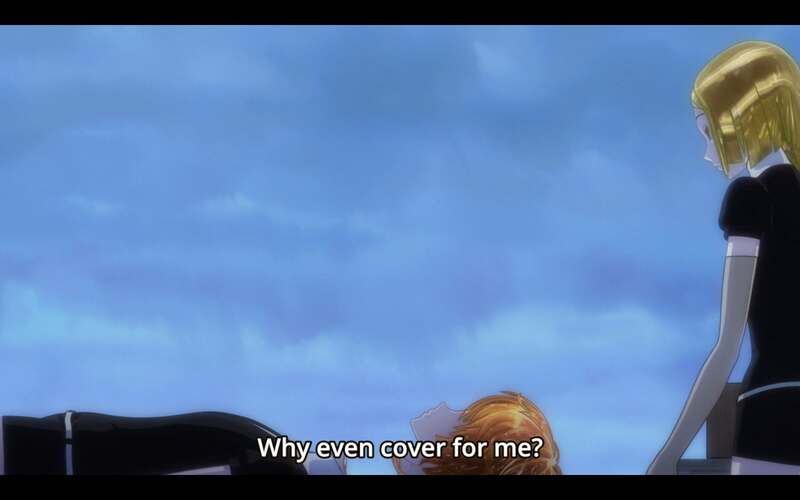 At first, I was fearful that it would be just be Phos’ identity, but now I cannot help but wonder if Phos’ self destructive journey will eventually compromise others’ lives. It already happened with Amethyst. The only way is to go forward, but will we leave scattered Gem remains behind on the way?